Tha Cathraiche Bhòrd na Gàidhlig, Ailean Dòmhnallach, ag ràdh gur e ceum mòr air adhart dha na Gàidheil a th' ann am Bile ùr an Fhoghlaim. 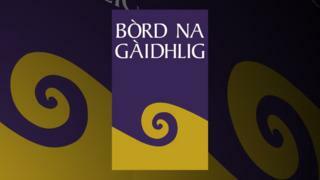 Thuirt e gu bheil e ri dhearbhadh fhathast dè na h-adhbharan a bhiodh e ceadaichte do dh'ùghdarrasan ionadail a chur air adhart airson iarrtasan reusanta air foghlam Gàidhlig a dhiùltadh fon bhile. "Na facail a thathar a' cleachdadh anns na faclan laghail 's e "presumption in favour of Gaelic Medium Education" far a bheil e air a shealltainn gu bheil iarrtas reusanta ann," thuirt e.
"Nise tha e cudromach gun tèid dearbhadh a dhèanamh air dè th' ann an iarrtas reusanta, agus bidh sin ann an stiùireadh a thig a-mach às dèidh a' bhile, san Lùnastal an ath-bhliadhna. "Agus tha am Bòrd ag iarraidh conaltradh ri daoine air an stiùireadh a tha sin an-dràsta, a thaobh dè seòrsa stiùiridh a bhios ann, co-dhiù 's e ceathrar no còignear no ge b' e dè an cruth a bhios air an iarrtas reusanta. "Tha sin ri obrachadh a-mach fhathast. "Ach 's e an rud a tha fìor chudromach 's e, aon uair 's gun tèid an ìre reusanta sin a dhearbhadh tha cùisean air gluasad chun na h-ìre gum feum daoine coimhead airson argamaid airson stad a chur air a' chùis. "'S e sin a tha "presumption in favour" a' ciallachadh. "'S e an rud a tha cudromach an seo, 's e gu bheil pàrantan a' sealltainn miann is iarrtais airson seirbheis. "Tha sinn uile ann an seirbheis na dùthcha airson phàrantan agus an t-seirbheis a thoirt don chloinn aca. "Le sin, ma tha ìre reusanta ann a tha ag ràdh "sin mar a bu chòir dha a bhith" agus ma tha pàrantan a' nochdadh gu bheil iarrtas aca, chan eil mi a' faicinn ciamar a b' urrainn do dh'ùghdarrasan ionadail a dhol an aghaidh an iarrtais a tha sin, ma 's e 's gun tig an iarrtas a tha am Bòrd ag iarraidh gu buil. "Tha mi a' smaoineachadh gur e ceum mòr uabhasach a tha seo dha na Gàidheil, gu bheil iad a' dol ga fhaighinn mura bheil adhbharan math dha-rìribh ann.